Electronic musician Saba Alizadeh hosts shows at dried-up reservoirs to call attention to growing scarcity of water. * * * Images of glowing light danced to a slow electronic beat, as an indistinguishable instrument radiated sound resembling flowing water. 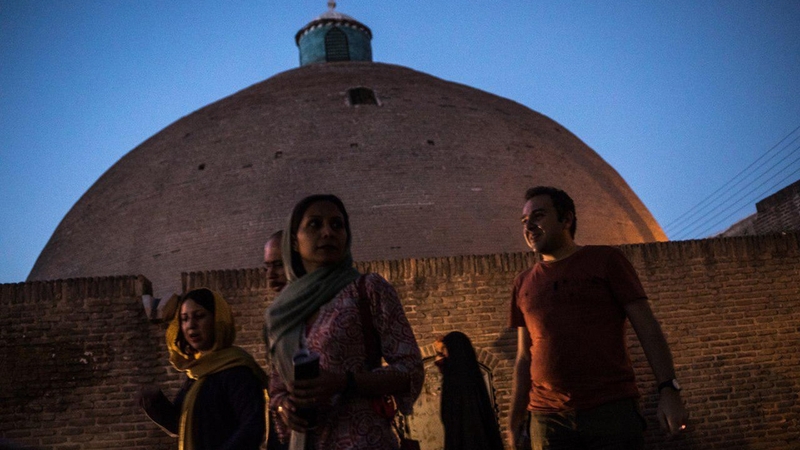 No more than a hundred people sat down in the darkened cavern in the northwest Iranian city of Qazvin, while listening to the tune played by electronic musician, Saba Alizadeh, who came up with the idea to highlight the ongoing water shortage in Iran. A century ago, it would have been impossible for the artist to entertain his audience there. 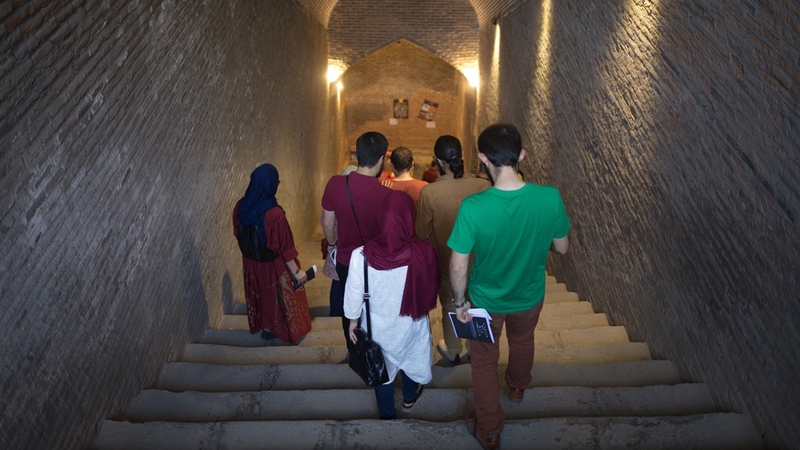 The facility, common across pre-modern Iran, was originally built to store drinking water underground for local residents in Qazvin, 140km northwest of capital, Tehran. But for years now, most of these reservoirs have dried up turning the structures into relics of Iran's past. The brick-lined water reservoir, known as Ab-Anbar in the Persian language, is covered with a dome, protecting the stored water from evaporation and contamination. It is connected to a wind tower, known as badgir, which serves as a natural cooler of the water inside. 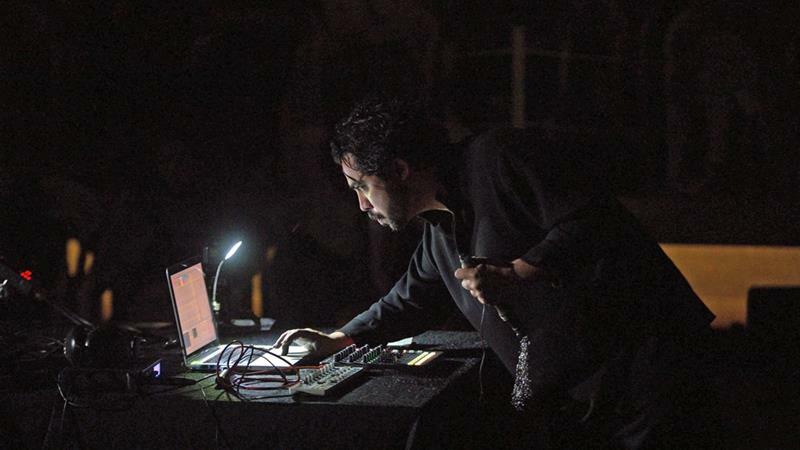 So far, Alizadeh has performed his show, 'Elegy for Water' at reservoirs in the cities of Qazvin, Kerman and Shiraz. The 35-year-old musician plans to do more events in Kashan, Yazd and Isfahan, cities that in recent years have faced water shortages. * * * The water problem in these major cities has been exacerbated by poor infrastructures and government policies. Lack of awareness about the issue has further added to the problem. 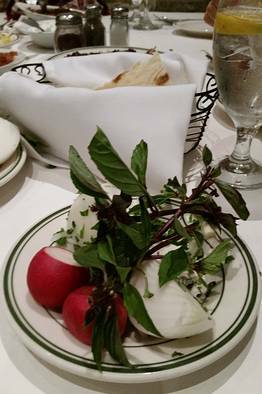 "We are facing a severe drought... We don't seem to pay attention to the things that are happening in this regard," Alizadeh said. Alizadeh came up with the idea of the musical piece in 2012, when he started to study music in California Institute for Arts, after he finished his bachelor's degree in photography in Iran. It was only much later, when he decided to perform the piece at dried-up cisterns to highlight growing water problem. The musician uses Zanjeer - which is made of small chains hanging off a wooden handle - as a source for musical notes. Zanjeer is mostly used during annual Ashura commemorations by Shias, who hit their bodies with the object to mourn the death of their third Imam. The initial piece was completed with an overture that he wrote recently, turning 'Elegy for Water' into a 40-45 minutes long music. * * * Speaking to Al Jazeera, Naghshbandi referred to the "mysterious" quality of the forms that the flow of the water creates; as well as the irony of watching those visuals in a dried-up cistern. "The images were projected on the ceiling. It was as if you saw the reflections of the water when you take a look above, knowing there is no water in the reservoir," he said. Roshanka Sajadian, a Tehran-based architect, took a two-hour road trip to Qazvin to watch the show. "The combination of the concept, the music and the location turned this into a curious event," she told Al Jazeera. "It was as if I was nailed to my chair, wiping tears off my face as the music rose to a crescendo." 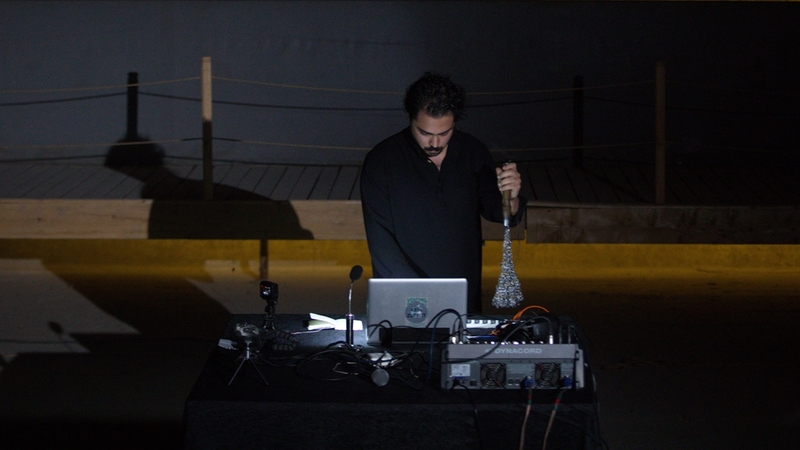 Andreas Spechtl, an Austrian musician who collaborated with Alizadeh on the project, told Al Jazeera that the artist is "mourning the loss of water, while treating a highly traditional and religious device, Zanjeer, as an electronic instrument." "One could call it conceptual art. But it's not that easy, because there are no answers and no great solutions in his work. He is not making a big case. No. He's now and then dropping a question. And that's the noblest thing you can say about art."